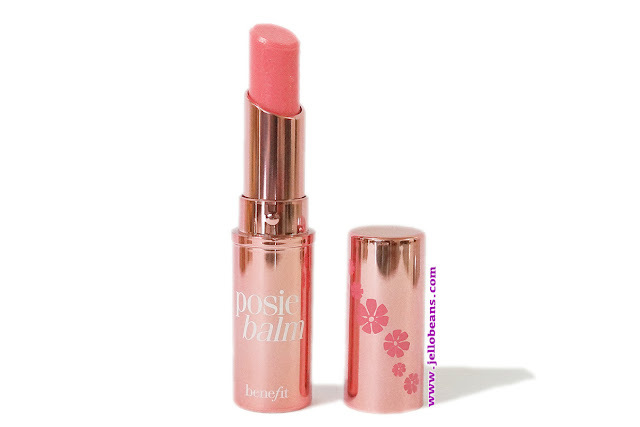 Posiebalm Hydrating Tinted Lip Balm is described as "kiss of sheer color gives you the sexiest lips." This gives a light poppy pink tint with a shiny finish. 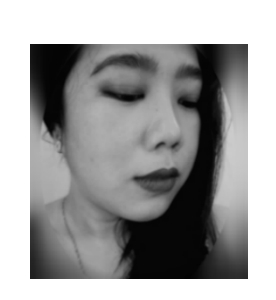 This is supposed to be a buildable color, with lip-softening, lip-hydrating and lip-conditioning properties due to the mango butter and sodium hyaluronate. 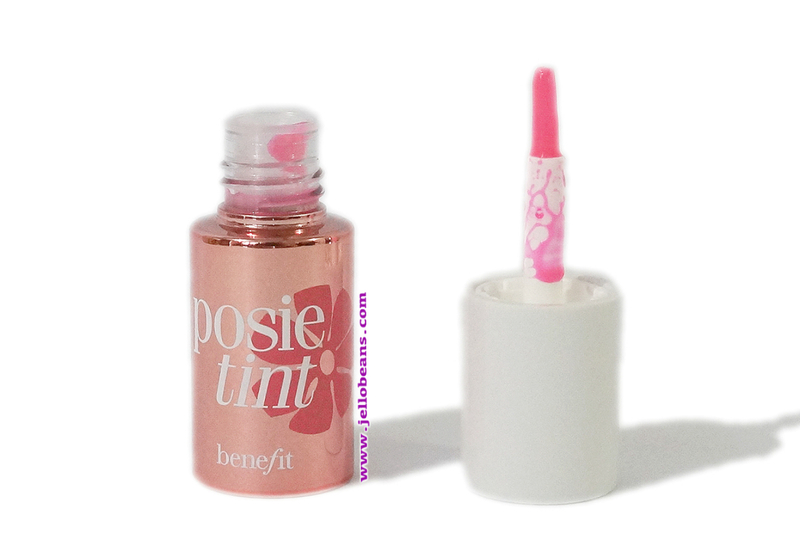 Posietint Poppy-pink Tinted Lip and Cheek Stain is described as "liquid-gel formula beautifully blends on all complexions and lasts for hours." 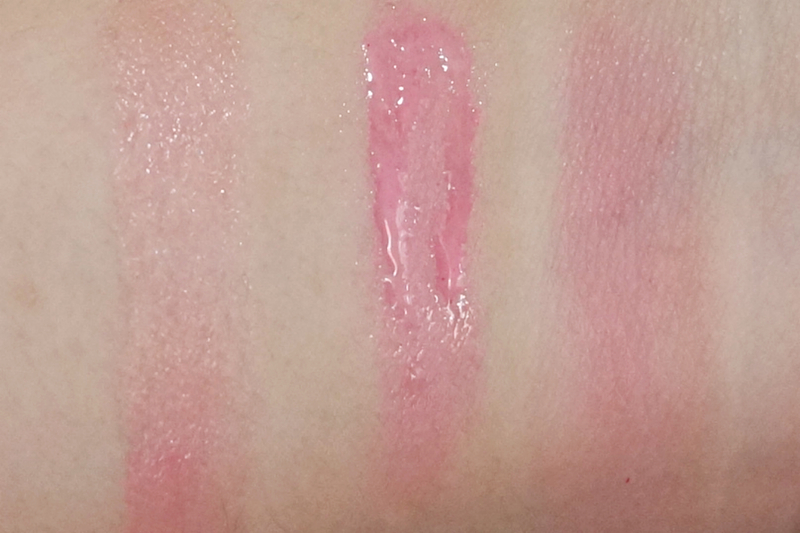 This one imparts a deeper pink (vs the lip balm) with matte finish. 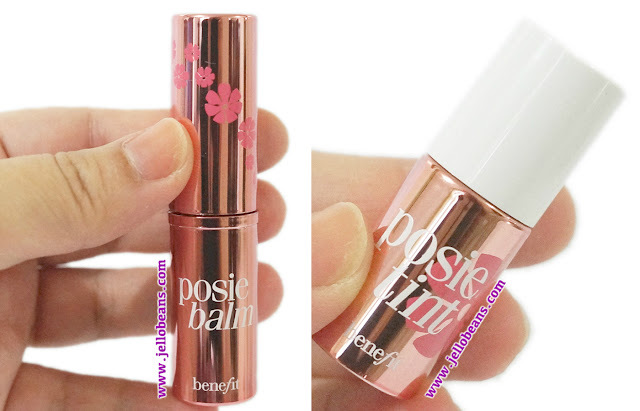 Just like the Benebalm, I'm not particularly impressed with the color payoff of Posiebalm. 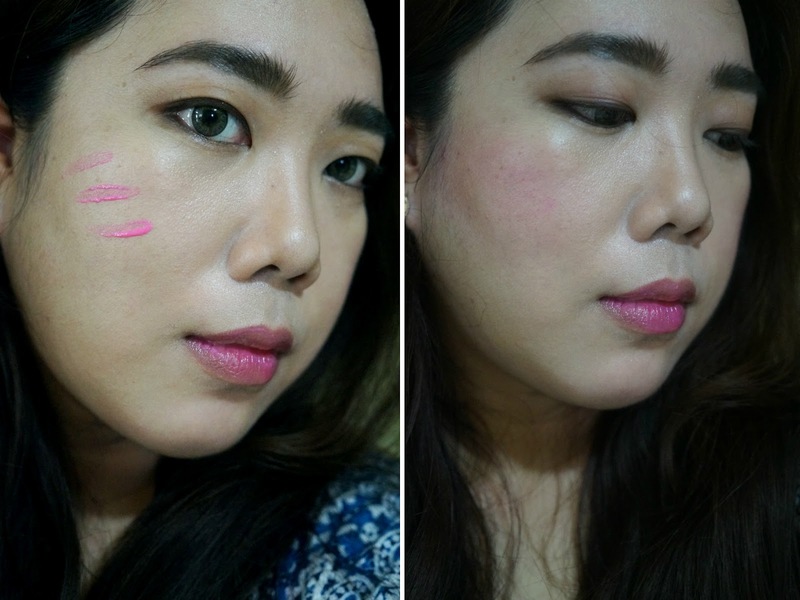 The sheer hint of pink is barely noticeable so you only get a slightly pink, moisturized lips. Frankly, you could get more color payoff and better moisturizing benefits with a simple, much cheaper drugstore lip balm. (Maybelline has a good selection if you're interested). The $18 price tag is not really worth it. The tint is not really as buildable as claimed so even if I try to layer on more (I tried 3 layers), I only get more goopy lip with no more color as I get with a single swipe. I'm also not a fan of the cloying flowery scent. The smell went away after several minutes but it's still bothersome. This product is definitely not for me but would be perfect for those looking for a lightweight tinted lip balm. 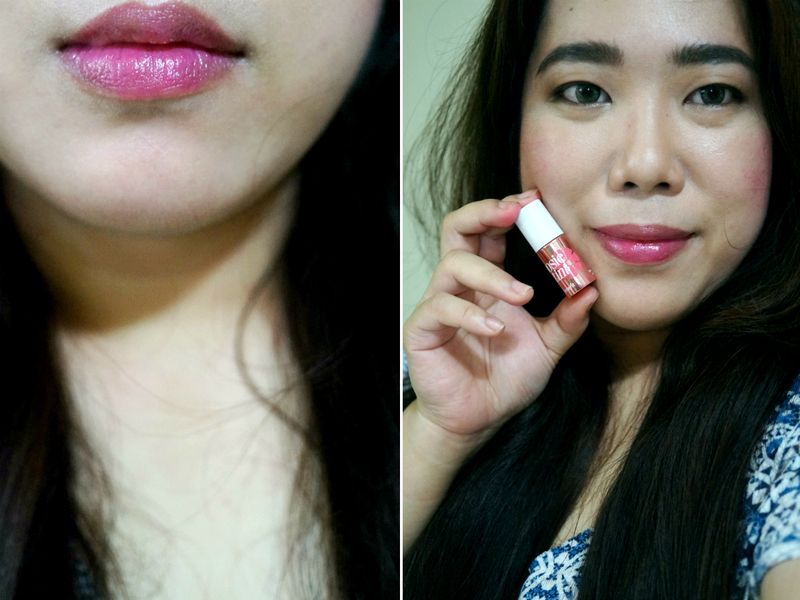 This gives my lips a natural-looking pink tint with a bit of shine. 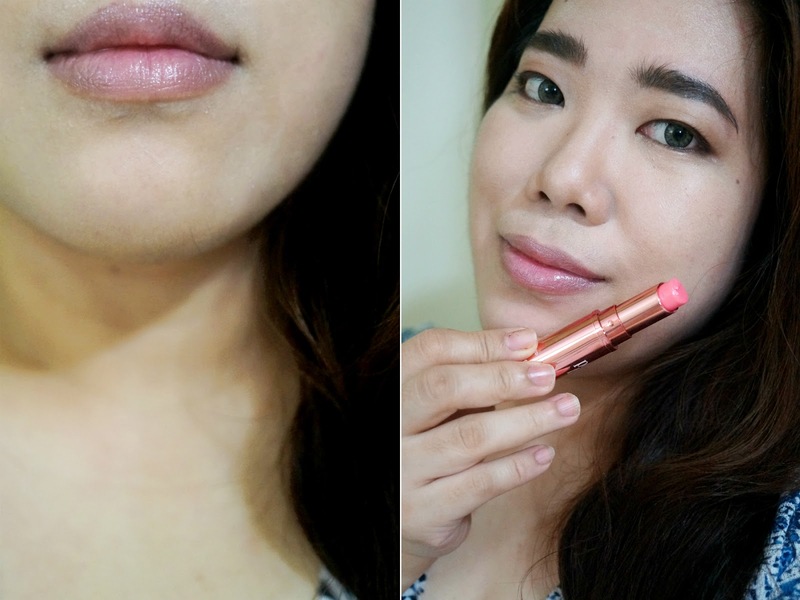 It feels light on the lips yet also moisturizing and very conditioning. Posietint is Benetint's pink version. The formula is milky and less watery. This gives a sheer, light pink tint. One layer is enough for that pretty flush of color but this can also be really built up to get a bright, more pronounced shade. 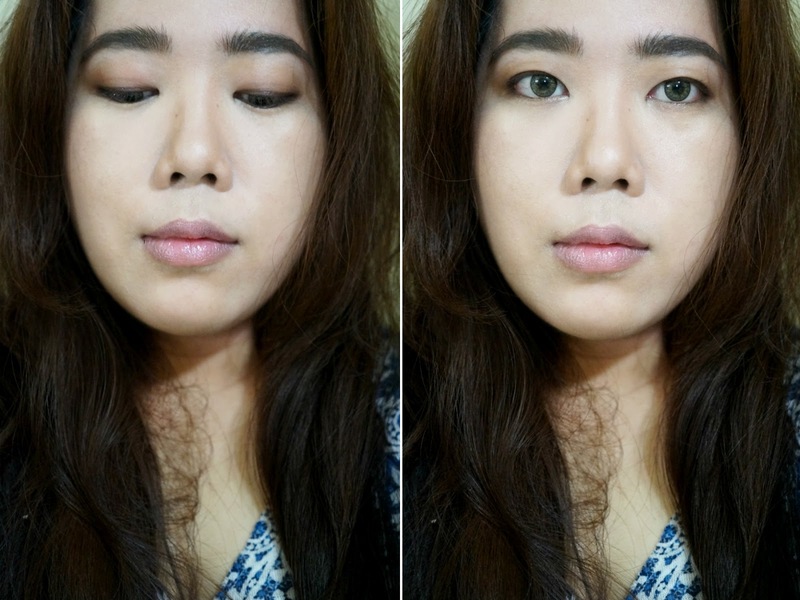 On my lips, Posietint applied somewhat less patchy (vs Benetint). It was easier to apply evenly and also didn't settle on the lip lines. The color lasted long, up to five hours and it's easy to touch up since you don't get product build up.